And the 2017 SGS&C Winners Are…. On Thursday, November 30, 2017 at the Interservice/Industry Training, Simulation and Education Conference (I/ITSEC), the Serious Games Showcase & Challenge (SGS&C) announced this year’s winners, including the coveted People’s Choice award voted on by I/ITSEC attendees. Supporting the SGS&C as award ceremony participants were members of the executive conference leadership, including Brigadier General William Cole, U.S. Army, Program Executive Office for Simulation Training and Instrumentation (PEO STRI); Rear Admiral James Robb, NTSA President; and Dave Hutchings, the 2017 I/ITSEC Conference Chair. Additionally, Shawnee Starr, TechWise CEO, SGS&C’s Premier Sponsor, presented the awards supported by the 2017 IPT lead Vance Souders from Plas.md, and government lead, Colleen Matthews, PCTE PD/LE at U.S. Army. The SGS&C once again brought great value to the 20 finalist participants: Aflac Trivia by BreakAway Games; ARTé: Mecenas by Triseum; Bionautica Trails by Plas.md; Cloud Defense by Gronstedt Group; Earthlight Arcade by Opaque Space (the SGS&C Australasia Winner and automatic finalist); Game of Sales by EI Games LLC; Installation Deployment Officer (IDO) Training Simulation by Engineering & Computer Simulations, Inc.; Martha Madison by Second Avenue Learning; medRoom Academy by medRoom (Brazilian Independent Game Festival Winner and automatic finalist); MyStartup by Simsoft Technologies; Planet Jockey Leadership Game by EI Games LLC; RoboEngineers by Filament Games; Variant Limits by Triseum; Charge Nurse, Goals of Care of Conversations, and MedSurg, all by Veterans Health Administration Employee Education System; Tactical Combat Casualty Care Simulation-Web by the Army Research Laboratory/HRED-STTC; Tootin’ Pooches by UCF SVAD; Tuyu Tuyu by American University; and VectorBall by Arizona State University. Emre Deniz from Opaque Space shared, “I/ITSEC was an eye-opening opportunity to discover the intersection of industries in simulation, visualization and training. Opaque Space has exhibited in over a dozen exhibitions and conferences, but I/ITSEC was among the most professional, inclusive and engaging conference we’ve attended this year. The SGS&C was a fantastic demonstration of how industries are using games to further drive innovation, efficiency and new learning methods – we shared the floor with some of the most innovative uses of technology for training by professionals and students alike, which was a great privilege and opportunity for us as international entries. All serious game developers are encouraged to submit to the 2018 challenge where there will be an additional award category dedicated to excellence using virtual, augmented, or mixed reality (VR/AR/MR), emphasizing their growing importance in the simulation and learning spaces. Additionally, the Best Mobile Game category will be retired, however the challenge will still accept mobile games that will compete for awards in the other categories as they always have. But because most developers are releasing serious games across all platforms today, it is no longer necessary to focus on mobile platforms as a needed category. 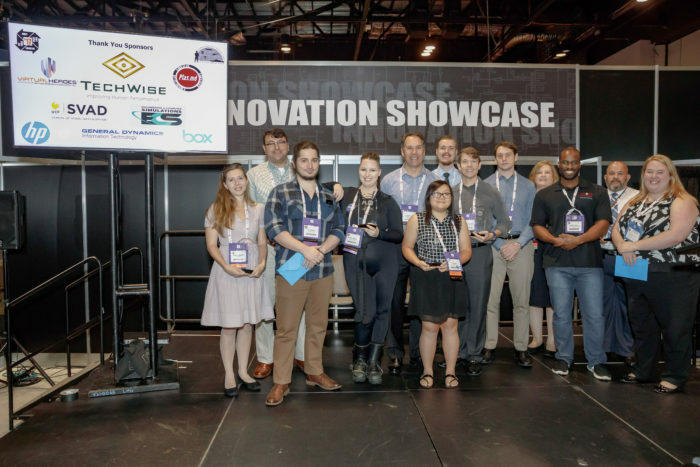 Congratulations to the winners and thank you to our generous sponsors: TechWise, ARA Virtual Heroes Division, Plas.md, Engineering and Computer Simulations, General Dynamics Information Technology, HP, University of Central Florida SVAD, box.com, NVIDIA, Bohemia Interactive Simulations, and SimCentric Technologies. See you next year!